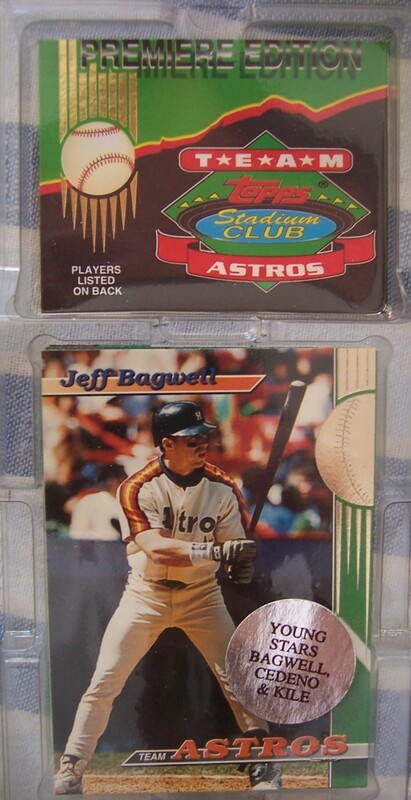 Houston Astros 1993 Stadium Club Team 30 card set, MINT and factory sealed in original packaging. Includes stars Jeff Bagwell, Craig Biggio and 28 more. ONLY TWO SETS AVAILABLE FOR SALE.